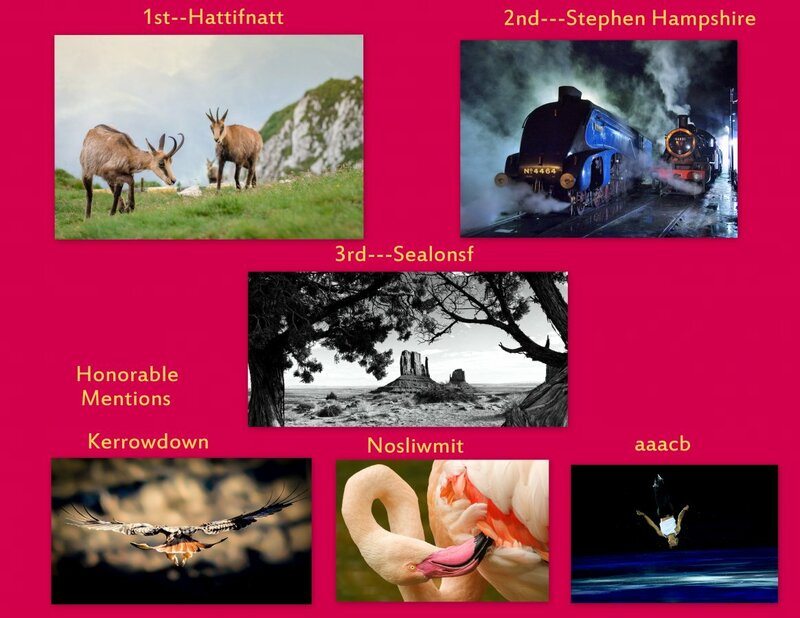 2nd.--Stephen Hampshire.. Nicely done with a mystic look to it that scored on the "wow" meter. Congratulations to the winner(s) and the HM(s). There were a lot of great photos posted, so it must not have been easy to judge . Congratulations to the winners and thanks for hosting Charlie. Wow, that was unexpected! I thought several other pictures have better chances. Thanks Charlie and congratulations to the other winners, I'll think of a new challenge today. Thanks Charlie and well done everyone! Congrats Hattifnatt, it certainly has a lovely 3D effect! Worthy winner in a tough challenge. And extended StephenHampshire, Sealonsf and the HM's Kerrowdown, Nosliwmit and aaacb. Inspirational challenge, so a hearty thanks to our Judge for the challenge and judging exercise!